CANTON, Mass. 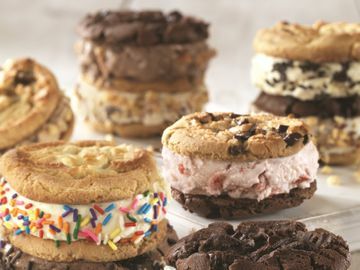 (December 20, 2011) – Warm the hearts of friends, loved ones or even the mailman with a cool gift from Baskin-Robbins, the world’s largest chain of ice cream specialty shops, by giving the gift of ice cream. 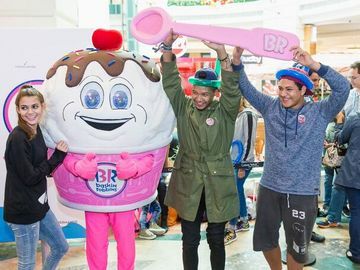 Holiday shoppers seeking last minute gift ideas can purchase a rechargeable gift card in any amount between $2 and $100 at participating Baskin-Robbins shops or online at www.BaskinRobbins.com. · Yule Log Roll Cake: This Christmas favorite is filled with our famous ice cream. It is decorated with icing holly and a chocolate garnish to fully put you in the spirit. Serves up to 8 guests for a suggested retail price of $25.99. · Candy Lane Cottage Cake: This cute holiday ice cream cake house is decorated with M&M’s® and mini candy canes. It’s a sweet and delicious ice cream holiday treat. Serves up to 12 guests for a suggested retail price of $19.99.